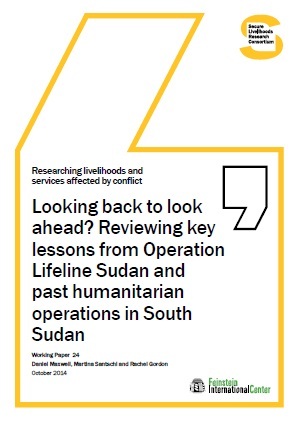 South Sudan – the world’s youngest state – had been at war for almost half a century. 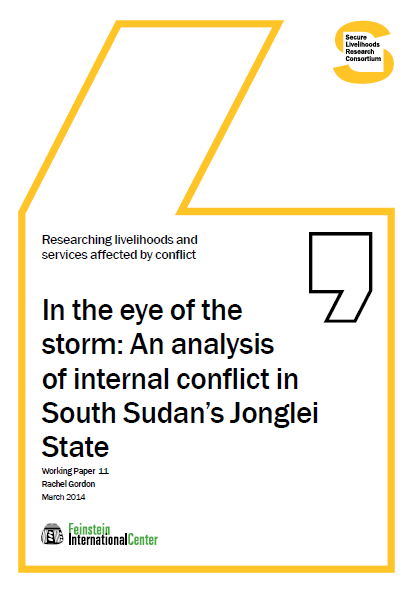 The long armed conflict devastated the lives and livelihoods of millions of South Sudanese, as well as government and state institutions, resulting in severely limited capacity, an erosion of legitimacy, and an almost non-existent state-society relationship. 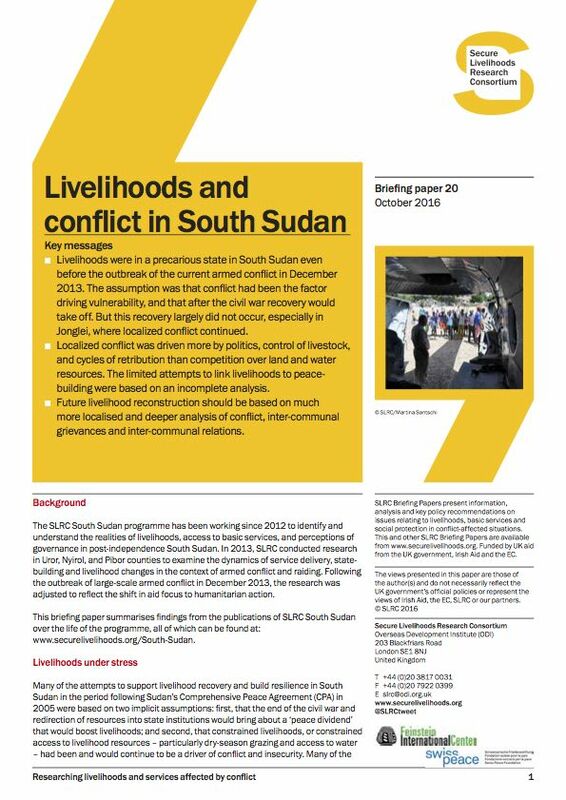 After only two years of independence, tensions over resources and power-sharing within the ruling SPLM party sparked violence in December 2013, resulting in what some regard as renewed civil war. 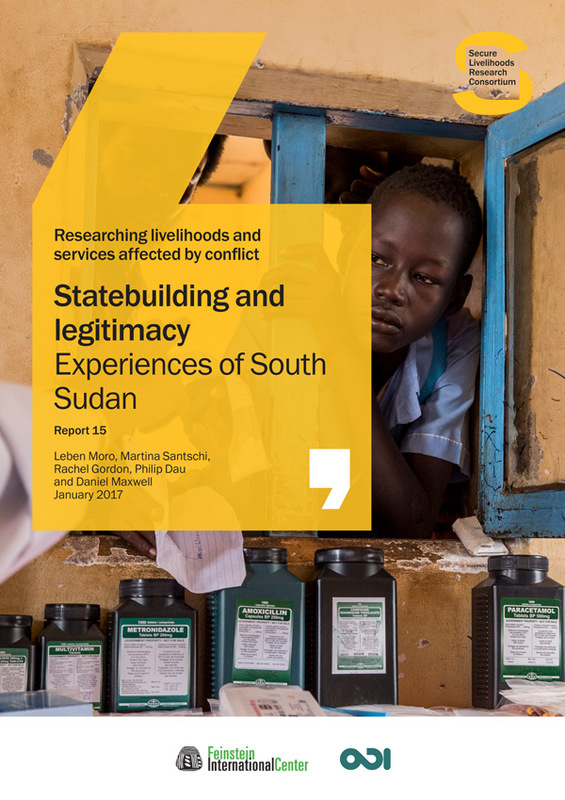 The Government of the Republic of South Sudan (GRSS) is now fractured and fighting, and falling further behind on promises to build effective service delivery systems and infrastructure across the country. 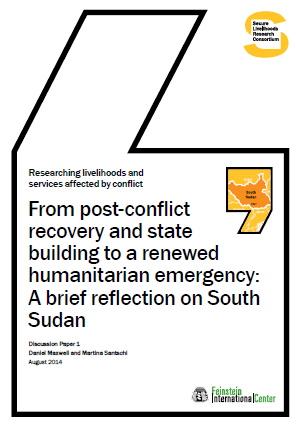 International engagement with GRSS, which previously focused on institution-building, has now shifted almost entirely to humanitarian response, echoing decades of relief efforts supporting populations displaced by violence. 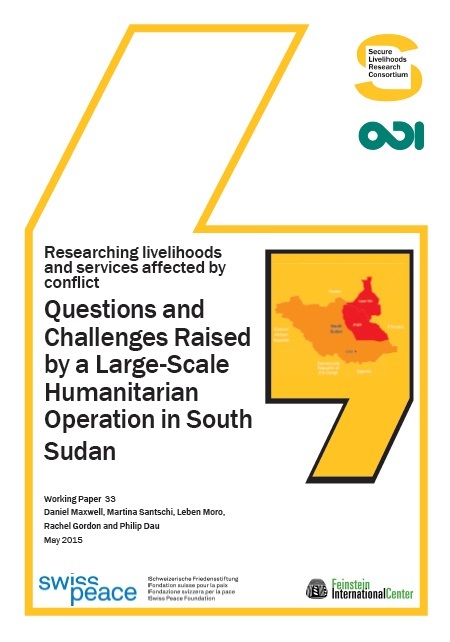 Worryingly, the threat of famine again looms large in parts of South Sudan. 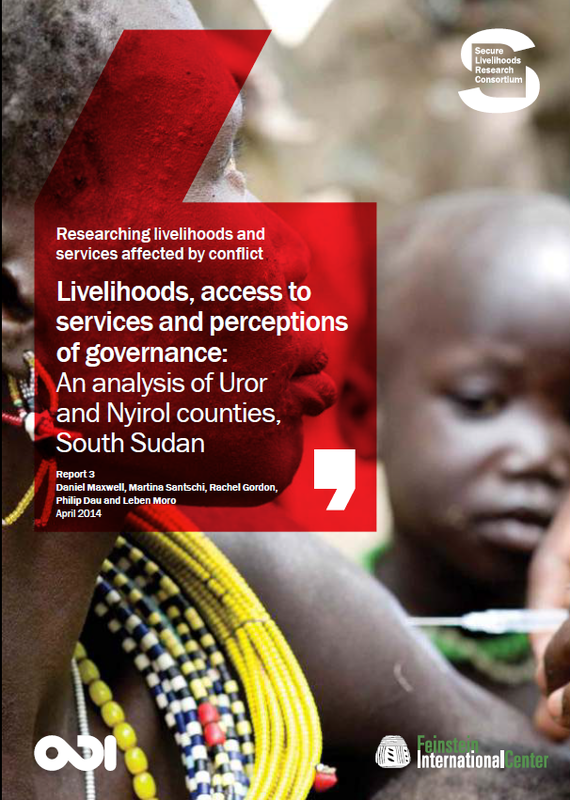 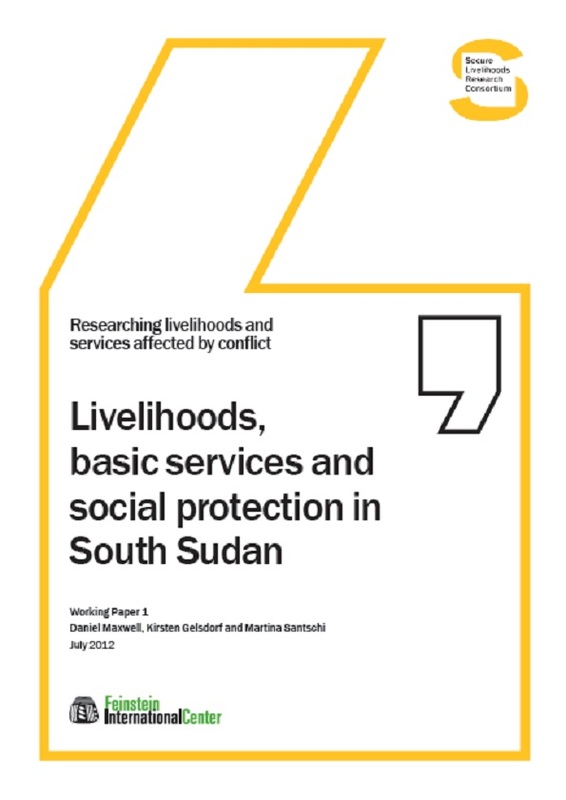 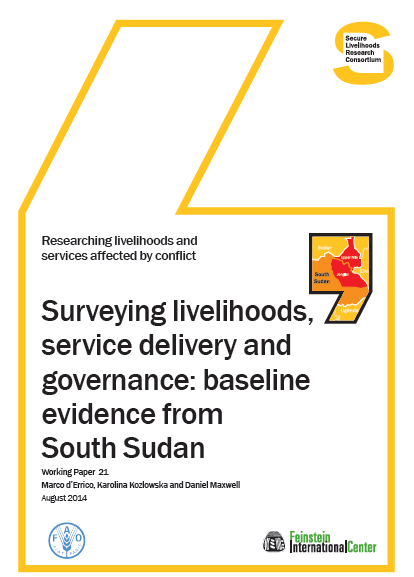 How does the delivery of basic services and social protection in South Sudan affect the internal dimensions of state-building and state formation? 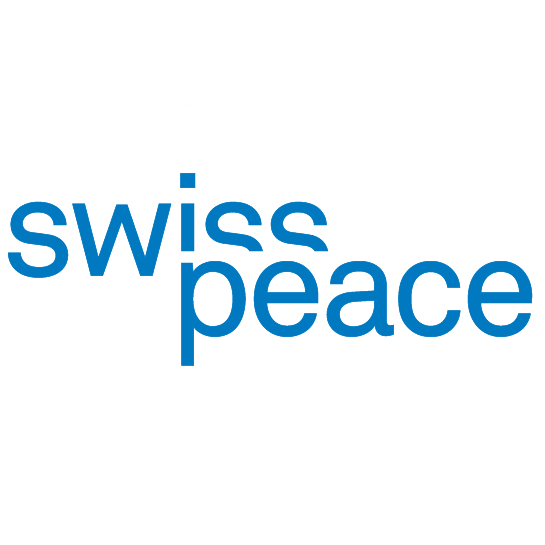 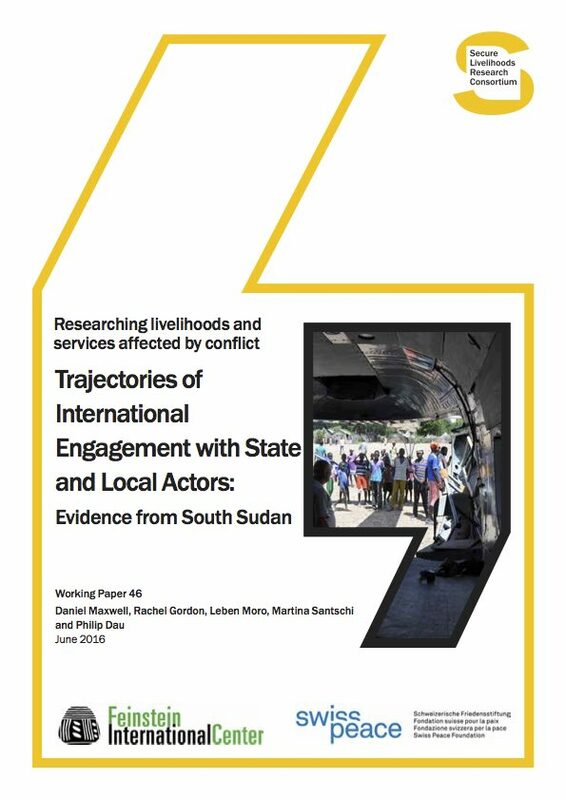 How do, and how should, international aid organisations engage with the South Sudanese state in order to improve state capacity to deliver social protection and basic services? 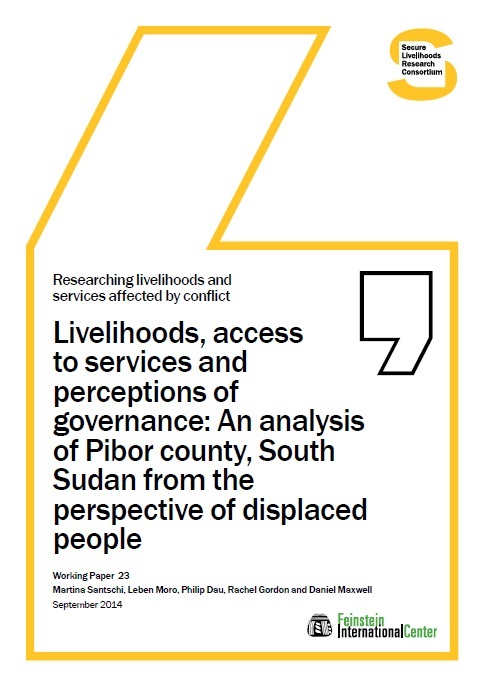 SLRC’s South Sudan research programme is being led by the Feinstein International Center (FIC) based at Tufts University in conjunction with Swisspeace, the United Nations Food and Agriculture Organization (FAO) and the Centre for Peace and Development Studies (CPDS) at the University of Juba.